"The TV personality has seemed a straight talking but nice fellow up to now, and by quietly blending into the background, should avoid nomination. I'm backing Keith to make the final at the very least." Already the show has had its controversy with the early removal of housemates Jeremy Jackson and Ken Morley for what the show's bosses have described as "wholly unacceptable" behaviour (Jackson) and "offensive behaviour" (Morley). The first eviction, which was due to take place on Tuesday night, has now been cancelled and the show has already been billed as the most controversial yet. Will it even last the distance some people are asking? Big Brother does like to throw in random surprises however - the theme for this year's series is 'Twisted Fairytale' - though you get the impression what Channel 5 bosses really need right now is a few days of peace and tranquility in the famous old house. Michelle Visage is the early [3.5] favourite on the Exchange, the American singer/television host, although relatively unknown over here in the UK, has proved to be popular due to her non confrontational approach to the houses' more domineering characters. Social media has been kind to her too, and although it's early days, she could well be worth keeping an eye on. Katie Hopkins ([4.5]) has moved significantly in the betting since opening night. The controversial columnist was set a task by Big Brother immediately upon entering the house, and she's had plenty of air time since. She's even shown a different, dare I say 'nice' side! I don't rate her chances though. I cannot see her turning around public opinion to actually be crowned the winner. 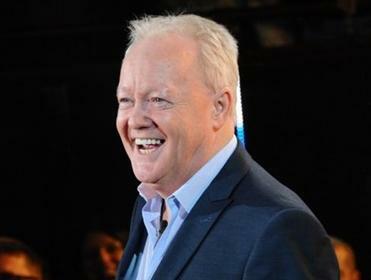 Keith Chegwin ([7.4]) could be a more interesting selection. The TV personality has seemed a straight talking but nice fellow up to now, and by quietly blending into the background, should avoid nomination. I'm backing Keith to make the final at the very least. Calum Best ([9.0]) is certain for a 'showmance'. The ladies man seems to be popular with the females in the house already, but I predict a fail for Calum, his reputation goes before him, and if a romance does begin it will most probably end up with trouble. Nadia Sawalha ([17.0]), ex-Eastenders actress and Loose Women presenter, seems to be a little too sour so far. She likes to interfere in the arguements that have occured, play the peacemaker, yet is very quick to cast her opinion. I predict an early exit for Nadia. Alicia Douvall ([18.5]) is a little bit of a non-entity, the British glamour model doesn't appear to have much of a personality thus far, however, she should avoid early nominations, so could be another one to keep a close eye on. If she does face eviction, I cannot see her surviving even once. Ex-Emmerdale actress Patsy Kensit ([23.0]) has got off to somewhat of a slow start, however I think she will emerge as quite a strong character as the show progresses, and at this early stage she is very much worth an each-way play. Kavana ([29.0]) is a quiet character too. He was recently on The Big Reunion trying to resuurect his 90s popstar sucess, if he stays in the house long enough I can see him causing fireworks, although he has no chance of winning. Alexander O'Neal ([25.0]) is an American singer, and has been placed up for eviction straight away (by Katie). If he can survive the first elimanation, I look forward to seeing more of him, he has already been subject to a few tongue in cheek remarks which he handled very well. Chloe Goodman ([60.0]) and Cami Li ([75.0]) are this year's pretty girls, both have little chance of winning however, though their romantic interest in Calum might be worth watching. Last but not least we have American blogger Perez Hilton (85.0). Perez is a very strong, outspoken character, and is most likely to be nominated at every given opportunity so it will be a big shock if he is to get anywhere near the final.